Agreeing to some exceptions still results in some dead babies. We must be 100 percent pro-life—not 75 percent, not 90 percent, not even 99 percent. 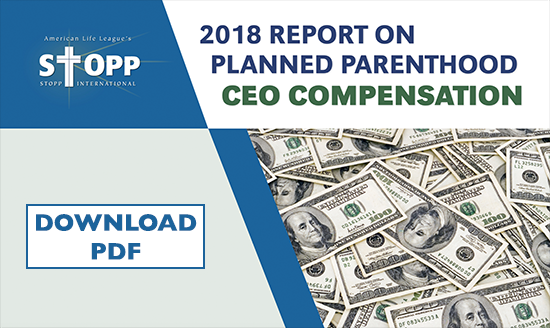 How does Planned Parenthood sell the American public on supporting the killing of preborn babies in the womb? The answer is you don’t call it killing. "I will pray for your mission every day. God bless you, your family and your work." "Let us thank God for having chosen you for His work of love. In your mission, as in mine, God has chosen nothingness to reveal His greatness." Judie Brown is president and co-founder of American Life League, the nation's oldest grassroots pro-life educational and advocacy organization. ALL started in 1979 and has grown from a kitchen table operation to a full-fledged professional organization with more than 30 full-time employees and 120 Associate organizations throughout the nation.